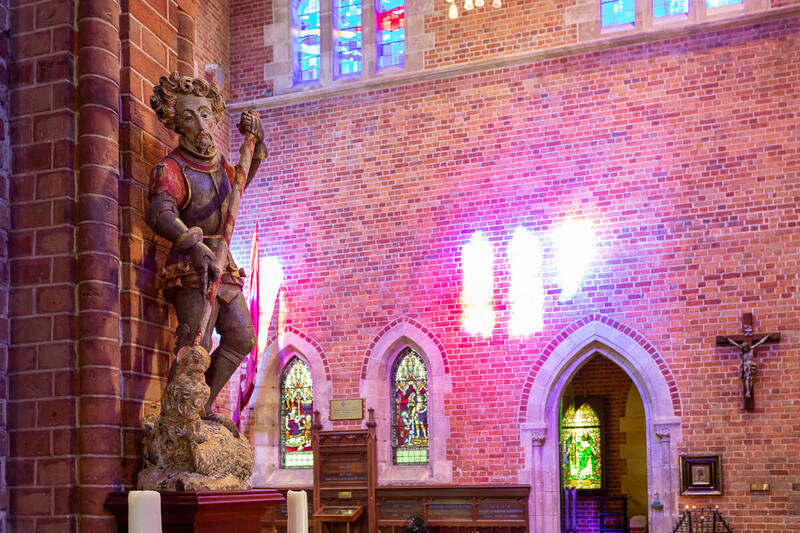 St George’s Cathedral is the mother church of the Anglican Diocese of Perth. It is a sacred and historic place of worship. 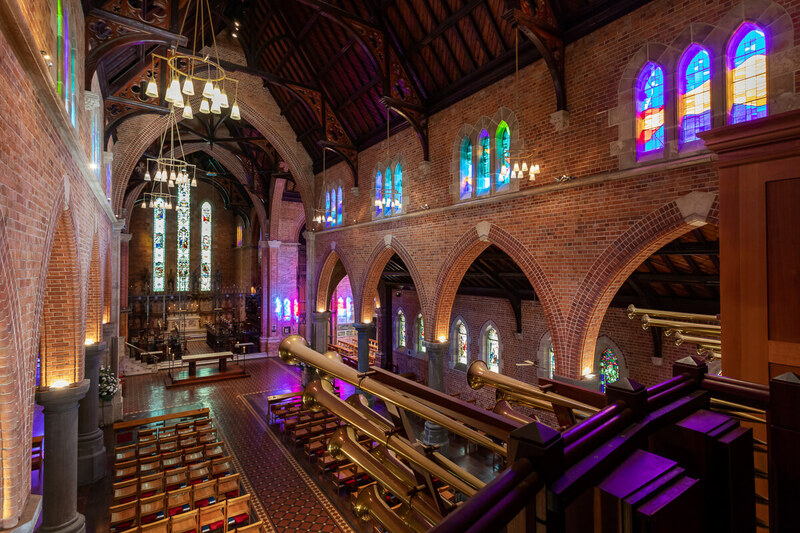 Established in 1888, the beautiful Gothic Revival building, with its magnificent pipe organs and traditional peal of bells, provides a stunning setting for weddings. 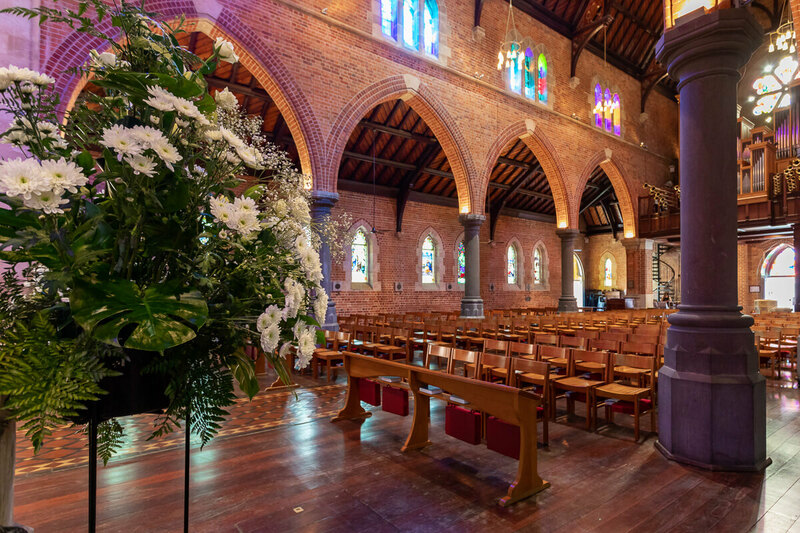 Marriages conducted in the Cathedral are celebrated according to the rites and ceremonies of the Anglican Church of Australia. The Marriage service is a Christian ceremony in which the couple, with their friends and family, ask for God’s blessing on their married life together. Our clergy also offer marriage preparation at the Cathedral and through referral to other providers. Permission to be married in the Cathedral is given by the Dean. For an appointment to discuss marriage at St George’s Cathedral, please contact the Cathedral Office. Once the couple have met with the Cathedral Pastor, and the wedding has been approved, details of the ceremony are then determined. In the case of flowers, they are always arranged by the Cathedral Florist Team, and in the case of music, it is always provided by the Cathedral Organist. 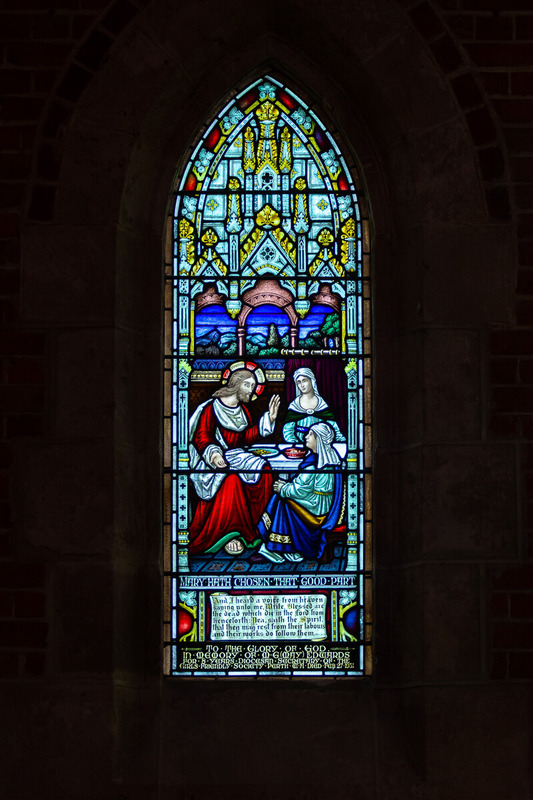 The bride and/or the groom will be a baptised Christian and preferably a member of the Anglican Church. Both are encouraged to become regular worshippers. Special permission is required if the bride or groom has previously been divorced. This permission is sought by the Cathedral clergy after speaking with the couple. Marriages are not celebrated throughout Holy Week from Palm Sunday to Easter Day inclusive, but weddings are permitted on Saturdays and weekdays during Lent. Weddings are conducted by clergy of the Cathedral. Other clergy may be invited to assist at the discretion of the Dean. The Anglican Order of Service is used. The attire of the wedding party must be consistent with the solemnity and dignity of the occasion. The fees payable are discussed with the Cathedral Pastor at the initial interview. Couples are encouraged to participate in marriage preparation with a member of the Cathedral staff, or through other relationship counselling organisations. To assist you with choosing your music, below are links to excerpts of suggested Organ and Choral music.